How is it that a band like this existed and I didn't know about them until yesterday? The Empty Hearts is Wally Palmar from The Romantics, Elliot Easton from The Cars, Andy Babiuk from The Chestefield Kings, and Clem Burke from Blondie. 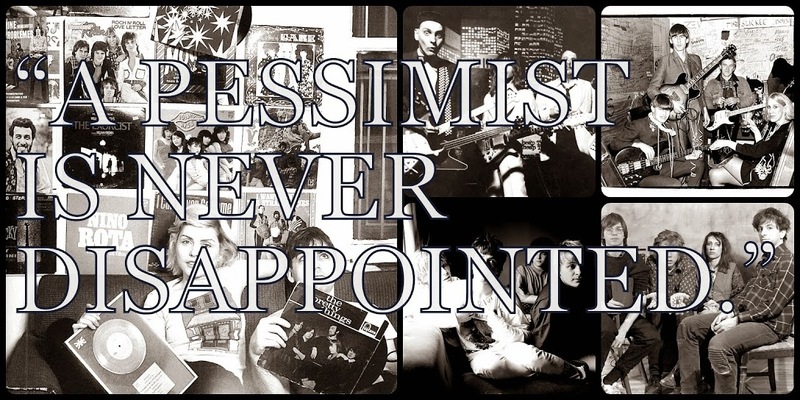 And the band has released a stormin' debut record that sounds more like the bands that influenced these cats than it does the records they produced separately in the awesome 1980s. 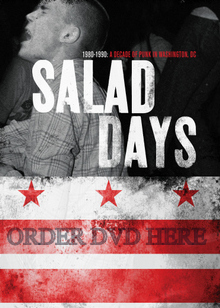 As I've already recounted seeing and meeting Clem Burke a few years ago when D.C.'s Dot Dash opened up for Hugh Cornwell, it's time to share my funny anecdote about when I almost met Wally Palmar from The Romantics. In 1982, when I was about 15 and vacationing with my parents in Asbury Park, New Jersey, we all went to this seafood restaurant near the beach and these dudes came in wearing leather and stuff. They looked like rock stars so we asked who they were and were told by the waiter that they were The Romantics. Shortly thereafter the band had a huge hit with "Talking in Your Sleep" and I instantly regretted not getting the autographs of those guys. In 1982, I was too busy listening to Rush to know much more than the name of that fantastic power pop group clad all in black leather in 100 degree August heat and sitting just a few tables away. Okay, so now Wally from The Romantics is doing lead vocals for The Empty Hearts and the super-group is here to drop their superb debut record on us. The Empty Hearts by The Empty Hearts is a near-perfect distillation of so many wonderful influences that any fan is sure to find something to love here. 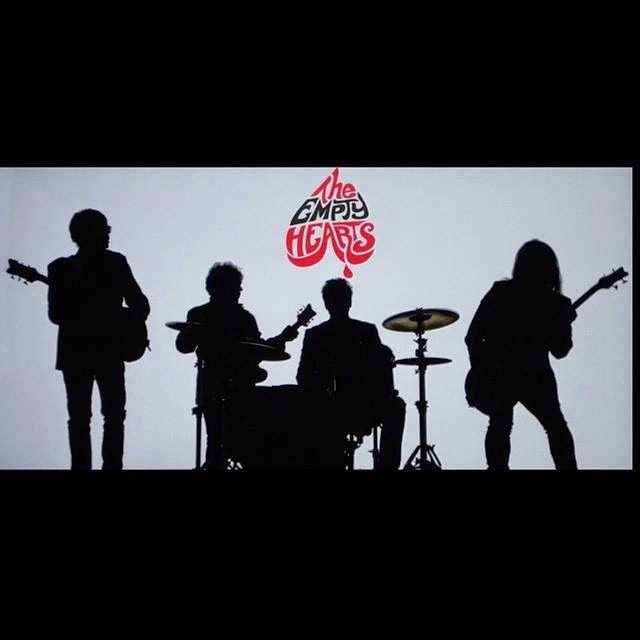 Rather than try to replicate the sound of The Romantics, or Easton's Cars, or Burke's Blondie, or even Babiuk's not-quite-so-famous Chesterfield Kings, the guys in The Empty Hearts have wisely decided to have fun and make some great music in the process. Giving full vent to their love for the best things in their respective record cabinets, these dudes have pulled off something remarkable and cool here. Example number 1 is "I Don't Want Your Love (If You Don't Want Me)" from this record. The song opens with a surprisingly blues-y turn from Elliot Easton and a near Bonham-esque stomping beat from Burke and then Palmar takes it into a slightly different direction. Think the heavier cuts from later period Cheap Trick records and you'll get an idea of the effect here. Album opener "90 Miles an Hour Down a Dead End Street" mixes hard drumming from Clem Burke with a solid nearly roots-y set of riffs from the rest of The Empty Hearts. "(I See)No Way Out" is a fantastic updating of the sort of stuff The Romantics were doing in 1983. Modernized, the cut is charging and instantly catchy. It's the sort of song that sounds so familiar that you'll swear you've heard it before. "Soul Deep" and "Perfect World" update a Nuggets-era template for the 21st century. With nothing wasted, The Empty Hearts tear through these stompers with a surprising fury. These tunes have punch, thanks in large part to Clem Burke's amazing drum-work and the masterful playing of the other members of The Empty Hearts. It's not all hard power pop kick here thanks to the gentle melodicism of "Fill an Empty Heart", the country-inspired "I Found You Again", and the near-metal-isms of "Loud and Clear". "Just a Little Too Hard" mixes some Mod-ish, manic Keith Moon-styled energy from Burke on the kit with a hook that recalls the very best early Romantics stuff. The harmonies from the lads here are a nice touch and the tune is the sort of thing that Tom Petty and Heartbreakers can sometimes pull off but maybe not with this much joy. "Drop Me Off at Home" almost sounds like a Blondie tune...except a dude is singing it, while "Jealousy" has the sort of funky riff that Aerosmith wishes they could still pull off. Album closer "Meet Me 'Round The Corner" cranks by like Mitch Ryder fronting Babiuk's old Chesterfield Kings. It's a funky, garage-y rocker that will sound fantastic on a car stereo with the top down. 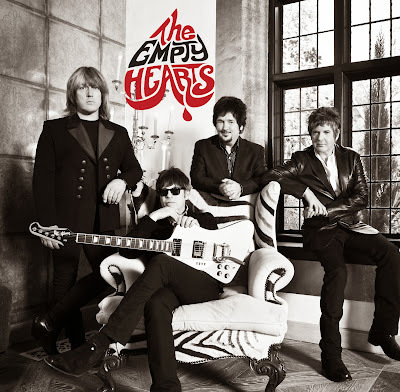 The Empty Hearts by The Empty Hearts is an awesome treat for any listener who grew up on the stuff these guys cranked out a few years ago. Very admirably they are not simply trying to replicate past glories -- and nothing on here really sounds like The Cars in any way but Easton's playing is a highlight all the same -- but rather trying to remind listeners of how much fun rock and roll can be. You know the best compliment I could give The Empty Hearts is that they sound like what The Wonders in That Thing You Do! (1996) would have sounded like had they made a sequel set a few decades after that film. I know that that was an imaginary band with the excellent Fountains of Wayne guys behind them, but I think you get my meaning. 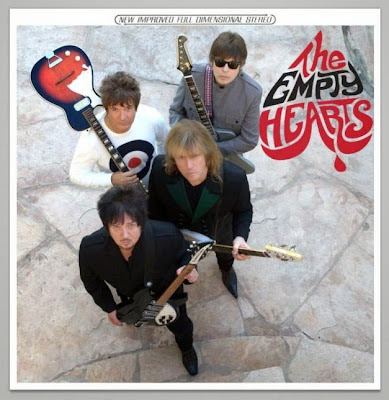 The Empty Hearts is an update on a template that The Beatles perfected before they stopped touring. It's the sound of American cats sharing their love of that Brit beat group era while updating it for modern listeners. Not entirely retro, The Empty Hearts function even if you don't know much about the bands these guys were in. Hearing The Empty Hearts is like buying the Greatest Hits from a one-hit wonder band from the Sixties only to discover they had another dozen should-have-been hits up their sleeves. Follow The Empty Hearts on their official website or on their official Facebook page.